There are many reasons to need a gift, birthdays, anniversaries, holidays or the all important wedding gift. 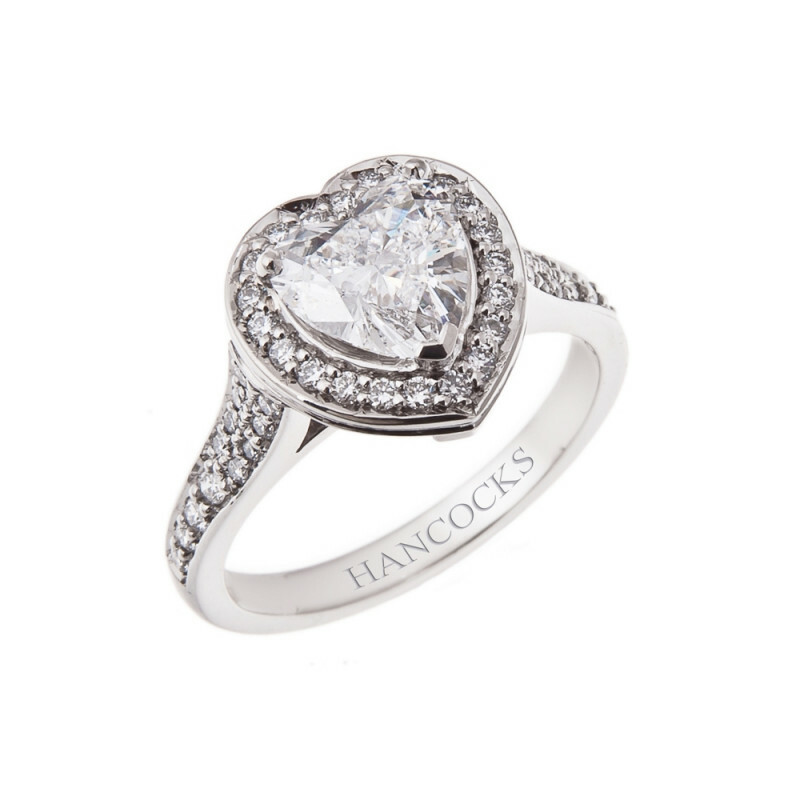 When you visit Hancocks Jewellers you can be assured of finding just the right gift for your needs. The discerning client will be interested in choosing a gift of the highest quality. Hancocks Jewellers have been helping their customers with wrapping up a present of beauty and brilliance for over a hundred years. The magic of bespoke white diamonds will enchant the recipient for years to come. 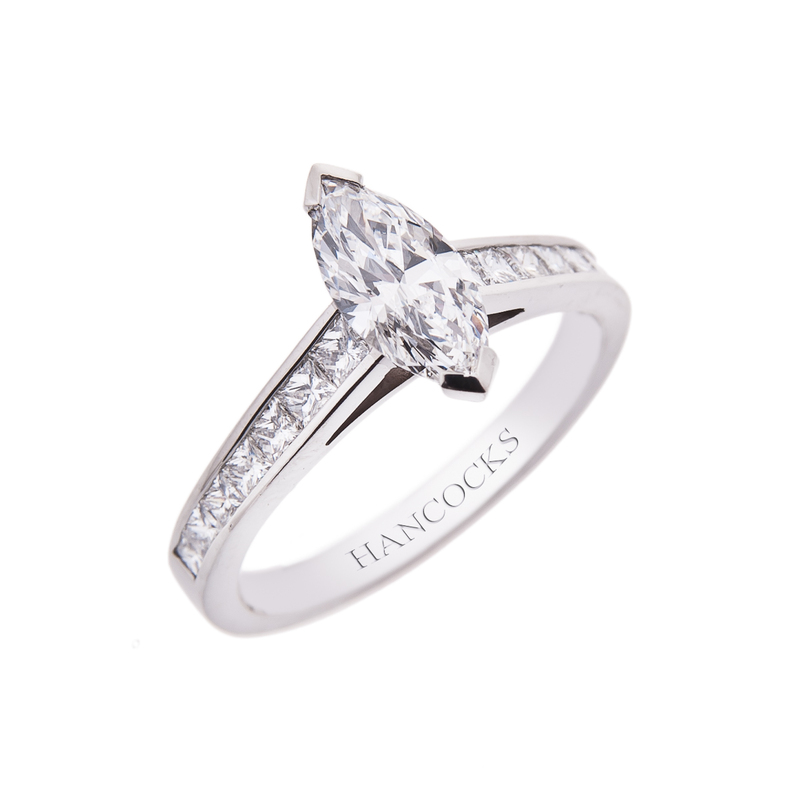 The friendly helpful staff at Hancocks Jewellers will listen to your desires and exceed your expectations. Just imagine the delight your bride will experience when she feasts her eyes on a pear shaped, two carat diamond pendant. The class of a diamond as a wedding gift will capture her heart beyond forever. The elegant two tiered pendant will express everything she is to you. 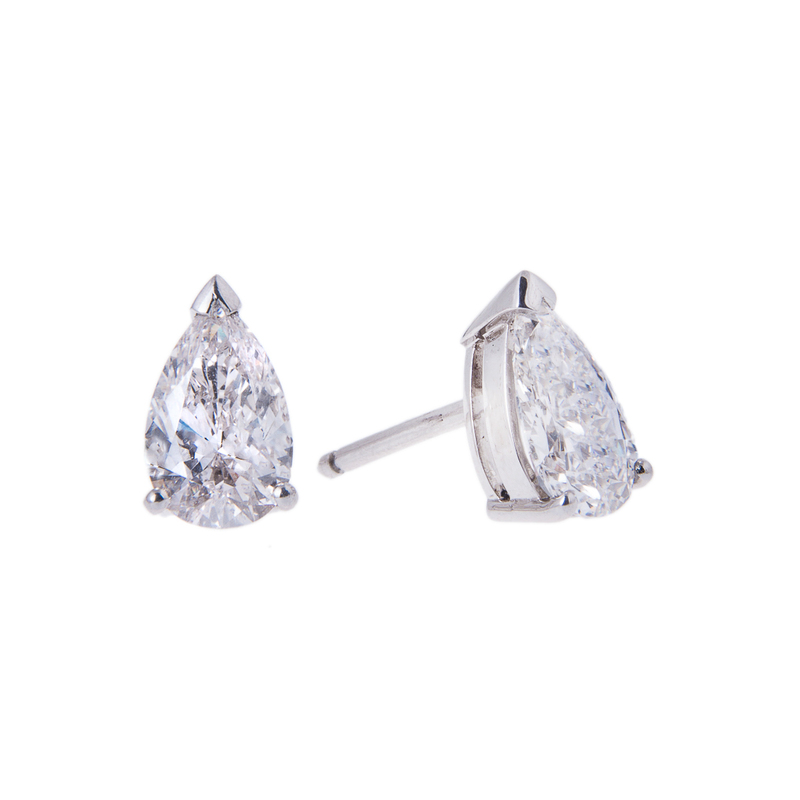 Your bride will truly sparkle when you strive to complete the ensemble with a dazzling pear shaped diamond set of stud earrings. They can be perfectly matched to her pendant. If you would like to compliment her bespoke white diamond engagement and wedding rings look for a blissful eighteen carat white gold bracelet with five carats of beautiful baguette cut diamonds. This will make the perfect accompaniment for the beginning of your life together. Encircle her wrist with your desire to give her complete happiness. If you are looking for an anniversary gift look no further than the diamond hoop earrings that tell her she is still the centre of your universe. This pair of stunning earrings starts with eighteen carat gold hoops. Then the sunlight is placed within the circle, she will adore the three carat brilliant cut diamonds that dazzle with her every movement. Hancocks Jewellers is located in Manchester where you can examine their entire offerings of eternal beauty. 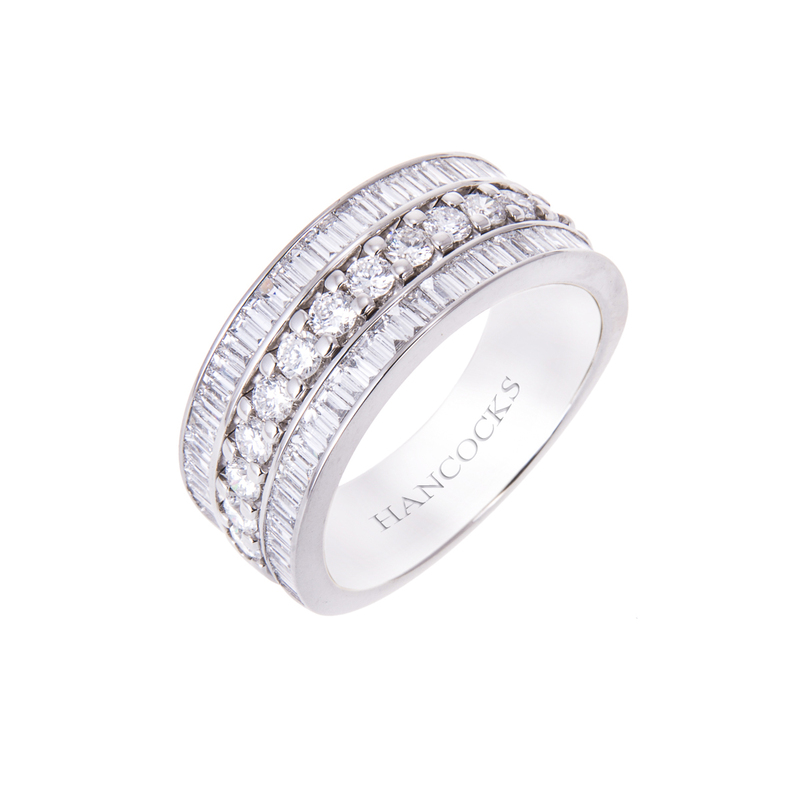 You may also go online to www.hancocksjewellers.co.uk to behold the gifts that await your perusal. No matter what the occasion the astute staff at Hancocks Jewellers will fulfil your every wish. Ladies you may wish to please your gentleman with a gift as well, be assured that Hancocks Jewellers will help you choose the perfect wedding or anniversary gift. You can select from cufflinks, a dinner ring or bangle that tells him your love is unending.